The horror of those days haunts me still. Some of us thought that a terrible danger loomed if the Republican Party took charge. Others hated the Democratic administration so much that they insisted there was no difference between George Bush and Al Gore. That was true when it came to free trade. Six years earlier, the Clinton administration had brought us NAFTA, which Al Gore continued to defend vocally, even as the 1999 protests against the WTO in Seattle were on everyone’s mind (well, at least, on every radical’s mind). But it was the other fronts that terrified me. There, the differences were profound. 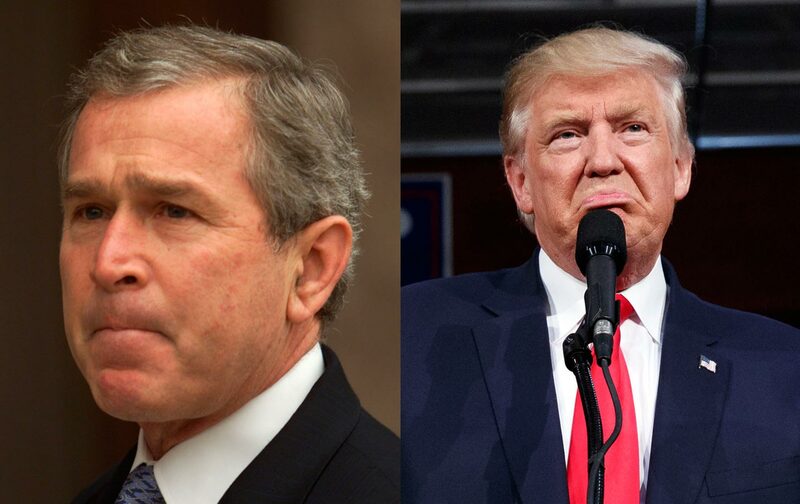 If Bush were elected, I anticipated two major disasters. One was an attack on human rights—gay rights, racial justice, women’s rights. And sure enough, a whole damn tsunami of attacks on reproductive rights followed, laws and regulations and funding shifts designed to make abortion and birth control difficult or impossible to access without having to overturn Roe v. Wade. Women lost big in 2000. Gays, lesbians, and trans people were at best in a holding pattern. Affirmative action and racial justice suffered. The other was environmental. The Bush administration proved to be far, far worse than anyone in 2000 could have possibly imagined, so bad I am not sure we yet understand what happened during his presidency. In a hundred years, when humans look back at when climate change got baked in—when we passed the point of no return, when we signed the deal for the catastrophe that made large parts of the world uninhabitable, put many coastal areas and islands underwater, and produced mass famine, mass extinction, and mass displacement—they may well point to 2000 and the election of George W. Bush. For eight years, his administration served the fossil fuel industry rather than the people of the United States, denied that climate change was an issue, and refused to join the world in any global treaty or support any meaningful legislation at home. Yes, Gore was a doofus, a wooden figure, a compromiser who ran a lousy campaign, but he’d been passionate about climate change throughout the Clinton administration. He worked hard on the issue after the 2000 election, and he and the United Nations Intergovernmental Panel on Climate Change won the 2007 Nobel Peace Prize for their work. What we do now on climate will matter in 10,000 years. It matters to all the life in the sea. It matters to the poorest and most vulnerable people around the planet, who are already being hit hardest by catastrophic weather events, from the hurricane in Haiti to crop failure in drought-stricken India. It matters to the people who will be born in 10, 100, 1,000 years from now—if people are born 1,000 years from now. But in that bitter election of 2000, people said that they wouldn’t vote for the lesser of two evils, or that there was no difference between the two, and tossed out other stock phrases that weren’t really a substitute for analysis. They shamed anyone who wanted a more complex, nuanced assessment or thought abortion and the Supreme Court mattered. Some said that if voting changed anything, the powers that be would make it illegal (which, given that the Republicans have been trying hard ever since with gerrymandering and voter disenfranchisement, could be seen as confirmation that, yeah, voting matters). This year, I’ve wondered what a Gore administration would have brought us. There would have been plenty of mediocrity, compromise, waffling, weakness, and timidity in policy and some outright horrible stuff. What he did would have often been annoying, and sometimes infuriating, and radicals would have fought him on some of it. We would have won some of those battles and lost others. Probably too many of us would have done nothing, accepting defeat rather than fighting for what was within reach. But it’s what he wouldn’t have done that matters most: probably no war in Afghanistan, certainly not one still going on, definitely no war in Iraq. That was an obsession of George W. Bush even before he took office. No war in Iraq means no war casualties—our thousands of troops, their millions of civilians. In the long run, it means no ISIS. Looking back, it’s even imaginable that there would have been no 9/11. The Clinton administration was being briefed daily about Al Qaeda and taking the threat seriously; the Bush administration ignored the warnings and dropped the ball. In a thousand ways, the world we now live in is the world 9/11 made. Not the 9/11 made by 19 terrorists but the world made by the cover those attacks provided the Bush administration to declare an endless global war on whatever they wanted—a war at home against our civil liberties and rights, against our privacy, against Muslim residents and citizens who were singled out for persecution during those years. No 9/11 means no jacking up the justifications for law and order, for militarizing the police and giving them arsenals no civilian force should have. No 9/11 means we wouldn’t have spent $6 trillion dollars—including interest, since this was a credit-card war whose payments we’ll be making until 2054 or so—on destroying people and places. Iraq veterans’ disability and medical bills alone have totaled $84 billion by 2013. That’s a lot of college tuition. Or health care. Or green-energy research and implementation. But the Gore administration wouldn’t have been the high-water mark of my hope. It would’ve just been a retaining wall against some of the worst that could—and did—happen and maybe a purveyor of some decent things and an administration we could’ve fought and sometimes beaten. Sometimes, the lesser of two evils is a lot less evil. Sometimes that’s a dismissive term for a mixed bag. The differences matter. On March 28, 2001, Bush announced that he would abandon the Kyoto Protocol on climate change that the Clinton administration had signed. Earlier that month, Bush announced that he would not regulate power-plant emissions of carbon dioxide, the main climate change–causing gas, despite a campaign promise to do so. His administration prevented California from enacting its own powerful emissions regulations (Obama made them a nationwide standard shortly after taking office). That spring, months before 9/11, pretty much everything was under attack, from abortion rights to environmental standards. I felt paralyzed. How do you react when they’re going after everything you care about at once? I don’t blame Ralph Nader or the people who voted for him for the outcome of the 2000 election, since it would make just as much sense to blame the voters who didn’t bother to show up at all. Also, Gore actually won the election—but the Supreme Court in a 5-to-4 decision decided to stick with the verdict of Florida’s Republican secretary of state and handed Florida to Bush, thereby giving him the election by a tiny margin of electoral-college votes. I did resent Nader for being dismissive about the importance of Supreme Court justices and reproductive rights. Presidents pick justices, and many people I know who hate Bill Clinton love Ruth Bader Ginsberg, whom he chose (and who, among many other things, wrote a scathing dissent to Shelby County v. Holder, the case that gutted the Voting Rights Act). Obama gave us Sonya Sotomayer and Elena Kagan, two more excellent justices who will be shaping this nation long after Obama steps down. The next president will get to appoint someone right away and possibly a few more after that. That will shape the nation for decades. But like I was saying, Al Gore was not my dream. When I think about the 2000 election, my dream would be that Nader and the Greens made good on their promise to build a movement. Or some other coalition on the left built one, and we shifted the center of this country, redefining what’s fair, what’s valuable, who matters, and what safety and security look like. Safety and security look like children who’ve never been hungry, kids with good futures, people who feel safe and equal no matter their gender, their orientation, their race. They look like people who live in places where they are safe from violence—never mind the foreign terrorism that touches so few of us, but gun violence, sexual violence, domestic violence, and police violence that touch millions of us annually and kill tens of thousands. Safe from violence and safe from environmental destruction, whether it’s the pollution that gives too many kids with asthma or the climate change that turns up as violent weather or crop failures, rising food prices, and thus hunger. They look like economic justice. They look like dismantling our massive and costly military presence abroad to support our domestic needs. But that’s the might-have-beens of 16 years ago. Today, my dream includes all fossil fuel left in the ground, the end of the American empire, our 800 overseas bases shut down, and total nuclear disarmament globally. When that’s done, I want an end to patriarchy and capitalism and racism and a beginning of experiments in real and direct democracy, though direct democracy probably means an end to the corrupted representative democracy of this nation. We can get a little closer by elections, or at least not get further away on every front, and but the work doesn’t begin and end with elections—and it doesn’t necessarily work through them. That’s part of why I think of voting as a chess move, not a valentine. It’s just a little part of the picture of how we make the world. I hope Hillary Clinton wins this election, because the alternative is unbearable to contemplate, especially for climate, where who wins will matter for all species and all time on earth yet to come. I hope she wins, and we stay awake and figure out what our battles are with her, and how to fight them, and fight to win even when it’s not easy or immediate. That is to say, my hope never was with elections; it’s with movements. Elections matter, movements matter too, and in the latter we have more power, including the power to change the culture in ways that change the elections and electoral politics. That’s how, for example, rights for queer people came in from the cold and became what a whole lot of straight people—including Supreme Court justices—thought was reasonable and just. A movement is not an electoral campaign, and it’s not a season or a year. It’s long-term, and it’s built by people who are committed, even when they don’t get what they want, even when it doesn’t seem possible. In South Africa, Nelson Mandela and the ANC fought apartheid for decades; women began fighting for the vote in the mid-19th century and won it in 1920; rights for LGBT people have been steadily advancing since a few brave organizations formed in the late 1950s and early ’60s. Sadly, the Republicans have been genius at movement building, and they’ve started from the ground up, taking over local elections to control statehouses to gerrymander districts to control a majority in Congress, even when they are less popular than the Democrats generically. We’re 36 years into the Reagan Revolution, and the casualties are all around us, from the tax cuts that led to the slashes in educational spending, the hikes in public-university tuition, the deregulation tied to the obscene and vastly expanded economic divide, to hunger, homelessness, hopelessness, and precariousness. It doesn’t have to be that way. The Republicans are a shrinking minority of angry white people. Through sheer demographics, they’re doomed. The generation that’s now 5 years old will be voting for the first time in the election of 2032, and they will be 50 percent people of color. If we could organize half as well as conservatives have, we could hand those kids a pretty good place to start doing their own work in 16 years. Elected officials are a little bit of that picture, but it’s a big picture overall, and the beautiful parts in it are about our power, not theirs. Last year, climate activists talked about the “Road Through Paris,” meaning that the Paris climate summit was not what they expected to solve all our problems for us, but it was an important step on that route; they would go there and then keep going and go beyond. We need to build a road through elections toward justice, to get on that road and never stop.